This will help you in making your future financially secured. There are a few investment avenues apart from the traditional stock markets which are also good in terms of returns. To lead a comfortable life with a good lifestyle amidst the rising inflation and soaring prices is only possible if you plan to invest in different investment avenues. This will help you in making your future financially secured. There are a few investment avenues apart from the traditional stock markets which are also good in terms of returns. One such investment avenue is REIT. Before exploring the reasons to invest in REITs let us first get into the basics of REIT and its types. 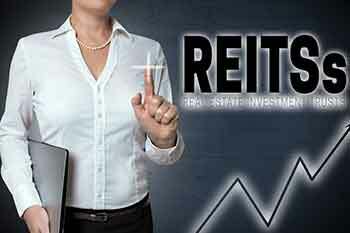 REIT stands for Real Estate Investment Trust. It is similar to that of a mutual fund, but instead of investing in stocks or bonds, it tends to invest in the real estate. The trust owns, operates or even finances income-producing real estate as per their needs. These like other securities trades on major stock exchanges and provide liquid stakes in real estate to the investors. Diversification: In current time the concept of diversification in the portfolio is very popular. The reason being it allows you not to keep all your eggs in a single basket. In diversification, you tend to structure your portfolio in such a manner that the investment amount is divided into various portions which are invested in different assets and securities. This is a very beneficial practice and is very much taken care of when building a portfolio. This helps in diversifying risk quotient which means in a case when a particular stock or sector witnesses a rough patch then you lose on only a part of your investment which could have been a loss on full investment in an otherwise case. REITs can be very helpful in the diversification of the portfolio as it offers competitive returns and is not dependent on other sectors. This would help in structuring a broader portfolio. Good Returns: Due to development going on a massive scale across the country, real estate is prospering. This has resulted in the returns from the REITs to be good and very competitive than other traditional investments. It has a long-term investment hedge. Stable Income: Before becoming popular among the common investors REITs had been very favorite among the retired personals due to the stable income it provides. REITs are less volatile than corporate profits and thus offers safer dividends. These stable dividends out of the lease/rental income have made REIT a favorite investment avenue. Tax Efficiency: Dividends of REITs are non-taxable at the corporate level. Which means unlike other securities which pay tax at the corporate level which could be as high as 35%, REITs save that 35% of taxation at the corporate level which would mean extra dividends for the shareholders. While on the shareholder’s level you are subjected to pay 15% to 20% tax depending on the tax bracket. But, for REIT dividends which are usually not qualified you tend to pay the marginal tax rate. This makes REIT tax efficient in nature. Democratic in nature: Since REITs need to pay their dividends regularly and often have to get involved in raising funds for new projects via new debt/equity offerings. They are far more disciplined and democratic in their operations. REITs have been a beneficial investment avenue which is very beneficial due to above 5 reasons and is one of the must-haves in the portfolio. If you have yet not invested in REIT, then make your investment soon. Happy investing!! !